China Airlines, Taiwan’s flag carrier, will add another direct flight to Palau from June 1, in hopes of prompting more Taiwanese to visit the Pacific nation that is beset by tourism crisis resulting from China’s travel ban in 2017. The additional flight will bring to four the total number of China Airlines’ weekly flights to Palau, one of Taiwan’s 17 remaining allies in the world. According to Taiwan’s local media, Taiwan President Tsai Ing-wen announced China Airlines’ service increase to the Pacific nation during her meeting with Palau President Tommy E. Remengesau Jr. in Koror on March 22. 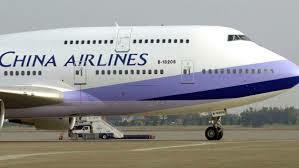 China Airlines, a partly state-owned carrier with headquarters in Taipei Taoyuan International Airport, began providing charter flights between Taiwan and Palau in 2008 and scheduled services in 2009. Operating Boeing 737-800 aircraft in this route, China Airlines said the average passenger load on the regular flights has reached around 80 percent over the past year. Palau’s diplomatic switch to Taiwan irked Beijing, prompting it to impose a ban on Chinese tourists to the tiny Pacific nation and cancel its approved destination status in November 2017. The ban has left Palau’s hotels empty in 2018. The economy of Palau is heavily dependent on tourism and in recent years, a large percentage of the tourists have come from China. The tourists’ arrivals from China have increased exponentially from 634 in 2008, hitting its peak at 91,000 in 2015, according to figures from Palau Visitors Bureau. But by the end of 2018, Chinese arrivals plummeted to 50,211. China, however, remains Palau’s top market, taking over Japan which was the Pacific nation’s main source of visitors from 2008 to 2012. In 2018, Palau recorded 24,437 arrivals from Japan. As of February 2019, China has maintained its top position, with 4,070 versus Japan’s 2,060. The tourists’ arrivals from Taiwan have shown an unpredictable trend and saw a consistent decline from its 2012 peak with 40,645 to 11,350 in 2018.